Learn how you can use the machine learning program Wekinator to control servo motors with an Arduino UNO. In this tutorial, we will learn how to control servo motors using machine learning techniques through the Wekinator platform. By inputting the necessary data for Wekinator to process, we can control the servo motors with Wekinator’s output. 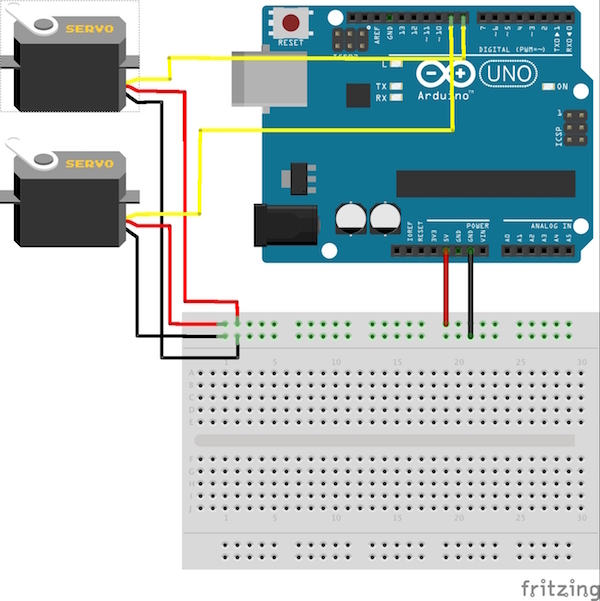 Start by connecting the red wires on each servo to the Arduino’s 5V pin. Then connect each servo’s black wire to the Arduino’s ground. Lastly, connect the yellow wire from one of the servos to pin 8 on the Arduino and the yellow wire from the other servo to pin 9. 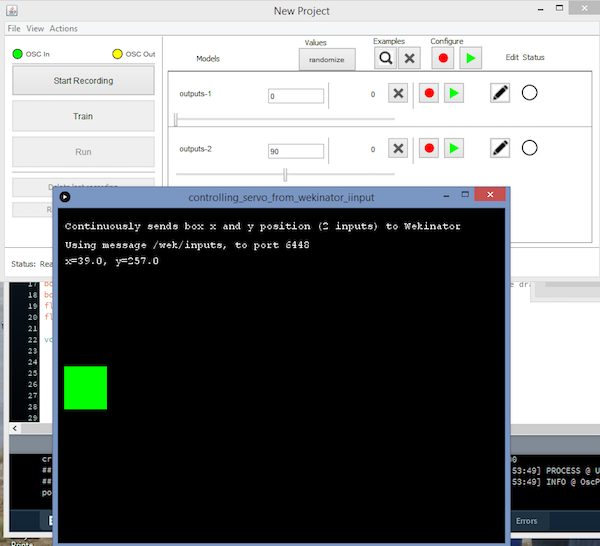 Paste the Arduino-specific code provided at the end of this post into the Arduino’s IDE and upload it. You will then need to download the sketch file from Wekinator’s Quick Walkthrough page. Once your settings are updated, click configure. 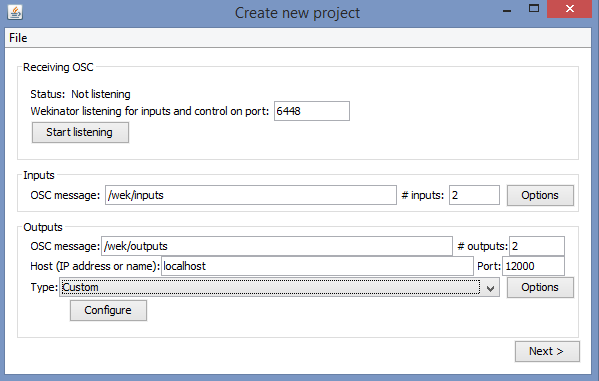 Create new project window in Wekinator. 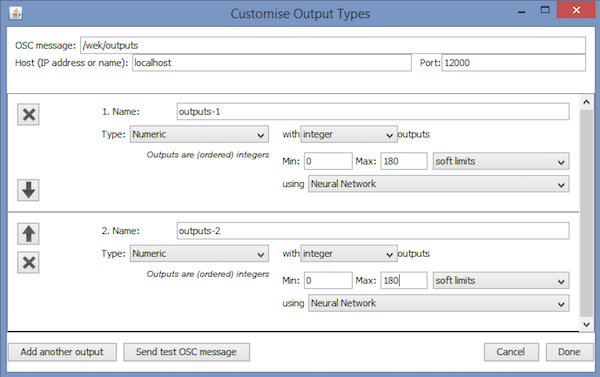 Customize Output Types window in Wekinator. 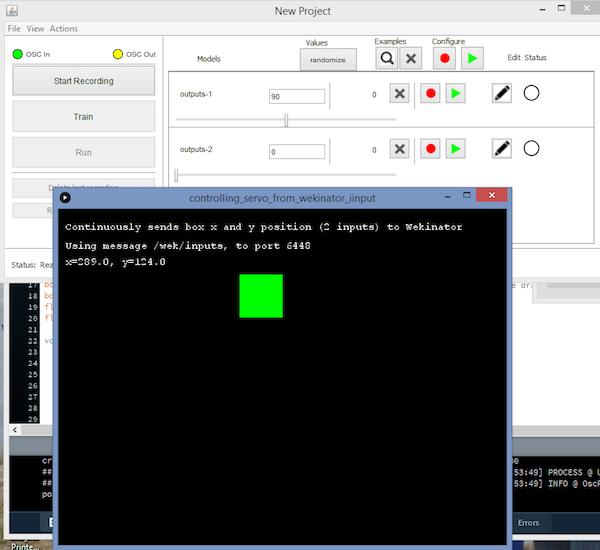 Drag the green box in the processing window to the center of left-hand side and adjust the settings in the Wekinator window to the values displayed below, then briefly start and stop the recording. 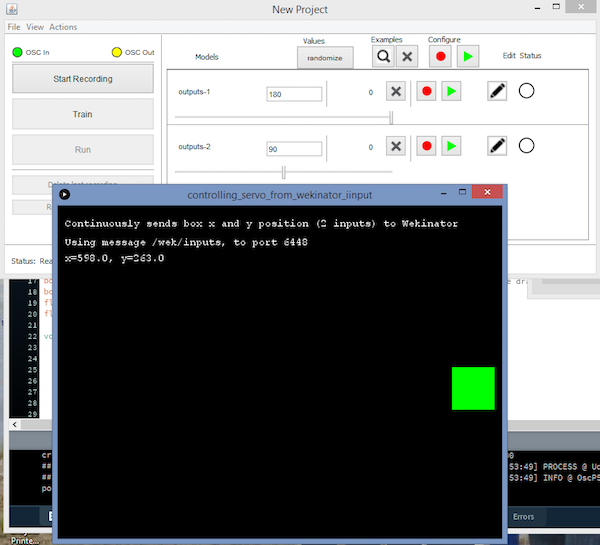 Next, drag the green box in the processing window to the center top area of the window and adjust the settings to the ones shown in the Wekinator window below. Again, quickly start and stop the recording. Finally, drag the green box in the processing window to the bottom center of the window and adjust the settings to reflect those displayed in the Wekinator window. For the last time, quickly start and stop the recording. Click on the Train button, then select Run. 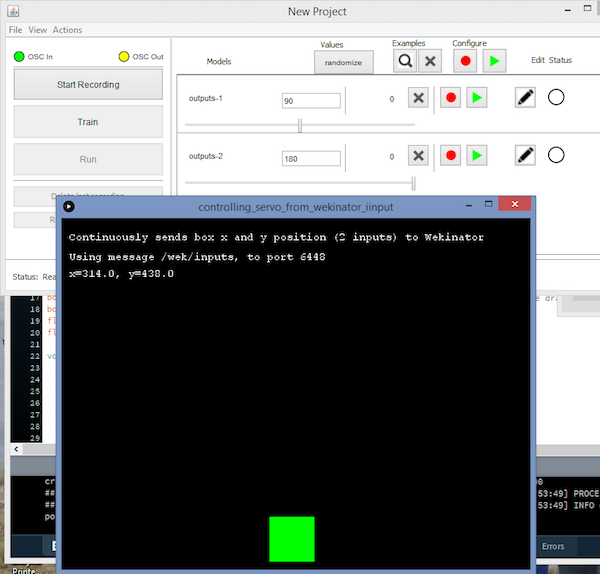 When you drag the green box in the processing window, the servos connected to the Arduino will move accordingly. // These variables will be synchronized with the Arduino and they should be same on the Arduino side. ValueReceiver<2> receiver;  /*Creating the receiver that will receive up to 2 values. 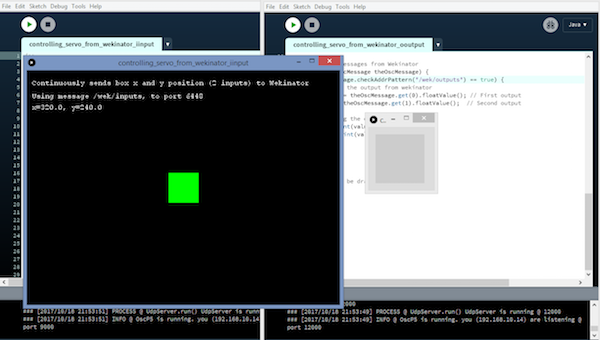 // Synchronizing the variables with the processing. The variables must be int type.